The Aging Faithfully Conference scheduled for August 7, 2014 at Augustana College will bring together some of the most significant voices across religious traditions to speak on spirituality and well-being in the second half of life. 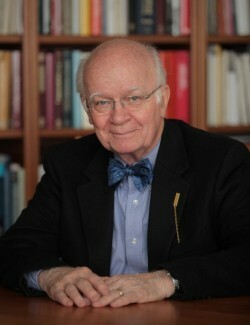 The conference will feature keynote speaker Dr. Martin E. Marty and small group discussion. Older adults, people who care for older adults, or anyone who is simply interested in the topic, is invited to attend the Aging Faithfully Conference. • What is God’s purpose for me in this stage of life? • What does faithfulness look like now? • How do I trust Him and have courage as seasons change? • How can my faith remain vibrant and strong? • How can I help others who find themselves in this stage of life? The Aging Faithfully Conference is sponsored by Augustana College, The South Dakota Synod of the ELCA in America, and the Evangelical Lutheran Good Samaritan Society. A brochure with more information can be found here. Registration is required and is now open at the Aging Faithfully Conference.